Wendy began her journey as a Bikram Yoga student and when she moved to San Diego in 1998, she started practicing Vinyasa, Ashtanga, Hatha and Iyengar Yoga as well as Breathing exercises and Meditation. When she started realizing that the discipline continually changing her life she became more interested to Yoga and Meditation and this is the reason behind establishing a studio and to become a teacher. As the manager of International Yoga Pavilions she has taught classes in retreat in San Diego, Thailand, Morocco, Guam, Nicaragua and at the present time in Costa Rica. 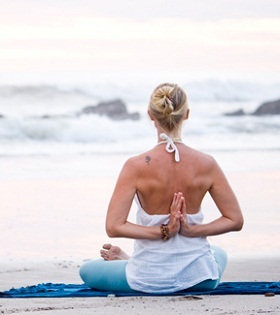 Wendy established yoga, surf and adventure retreat in Costa Rica. Costa Rica is considered as a magical country. When you will enter this paradise you will get the opportunity to spend an exciting and life changing week. 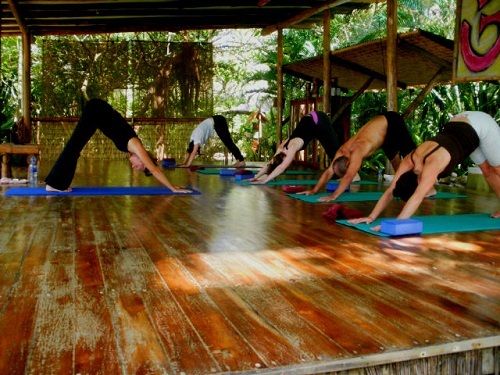 Wendy’s Yoga retreat center is located in Santa Teresa Beach which is considered amongst the top ten most beautiful beaches in the world by Forbes Magazine. 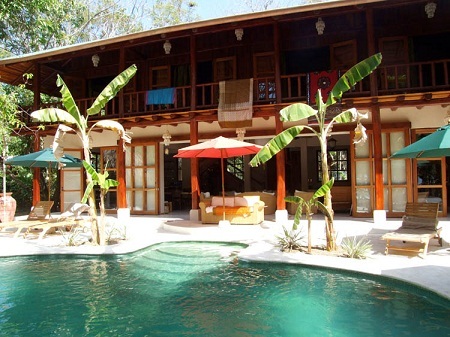 La Casona is built of Teak and Pochote and her sister guesthouse are built in colonial- style with rustic beams. These buildings are polished with white concrete and teak floors. There are high celings and airy verandas. La Casona and her sister guest house consists of total 8 bedrooms and 7 bathrooms which are facing the pool and the ocean. 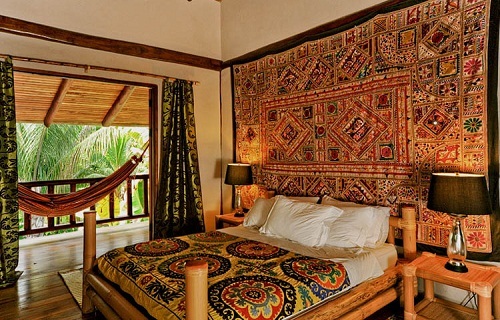 Rooms are furnished in tropical style. There are also pool-table, pool, chef’s kitchen, day-beds for lounging. You can practice Yoga on the open air yoga deck with ocean front views. Private accommodation costs $2,212 and shared accommodation costs $1,526. From 7 a.m. to 9 a.m. Dynamic and awakening Vinyasa Yoga class. From 9.00 to 10.00 you will get healthy and nutritious breakfast. You can enjoy surfing, beach activities, lunch and other activities between 10.30 to 4.00. Enjoy sunset yoga class, Restorative and meditative during 5.30 to 7.oo. You will have delicious dinner between 7 p.m. to 9 p.m.. Then enjoy evening relaxation. Healthy breakfast, lunch and dinners prepared by experienced chef. Two Yoga classes daily for all levels and abilities. A workbook with a solid foundation of Yoga for you to take home and integrate into your daily life. You can enjoy hiking in Cabo Blanco National Reserve Park only with the payment of $70. You can enjoy horseback riding along along the shoreline at sunset crossing Santa Teresa beach until Playa Hermosa. Horseback riding only costs &40 per person for 2 hours. If you wish you can enjoy sport fishing by and Canopy tours.